Sometimes this Christian life stuff can be tough. Friday I was driving my daughter to school. As usual, we were on the cusp of lateness. The route is all winding back roads, lightly traveled but with two solid lines dividing the pavement all the way. There’s nowhere to pass. About halfway through the usually 15 minute drive I caught up behind a hulking (compared to my little Matrix) Dodge Ram pickup. It was poking along at just over half the 40 MPH speed limit. I was stuck. Remember those old Bugs Bunny cartoons where Elmer Fudd would become infuriated at the rabbit’s antics and red would start down at his feet and then climb through his body like the mercury in a thermometer set in boiling water? That was me as I helplessly followed that Ram. And with every flash of the brake lights my stress thermometer climbed higher. I didn’t tailgate. I didn’t honk my horn. I didn’t swerve around and pass illegally. And it wasn’t just because I was wearing my clerical collar. Driving is one place where I have really tried to live more like the Christian I claim to be . . . I’ve even preached about it. But . . . my daughter was going to be late, and there was absolutely no reason to keep me crawling along like that. To keep ME crawling along. When we’re angry, it’s all about ME isn’t it? How can he do that to ME? Of course, the Ram driver was probably so engrossed in keeping the truck under control that he was totally oblivious to my existence. Getting angry at him (or her, couldn’t tell from behind and below) was just silly. It wasn’t going to affect the driver at all. Then there were those bumper stickers on the back of the truck. “Jesus loves you.” “Keep the Ten Commandments.” And of course a Jesus Fish. Those preachy pieces of plastic plastered to the truck just made the whole thing more frustrating. You’ve seen those bumper stickers that say, “In event of rapture, this vehicle will be unmanned”? Unmanned would have been an improvement. But the “Keep the Ten Commandments” bumper sticker did get me thinking. I remembered what Jesus taught about anger at someone being equivalent to breaking the commandment against murder. Because God cares as much about what’s going on in our hearts as what we do. So, I tried to practice what I’ve preached. I said a prayer. Not that the truck would break down. Not that a police car would come by and ticket the driver for unsafe slowness. But for the driver. It’s hard to stay mad at someone you’re praying for. It worked . . . if you define worked as keeping me from enacting any road rage until we finally turned right and the truck didn’t. Perhaps that was an answer to my prayer. I’m still working on it, though. I’m getting frustrated all over again writing this. 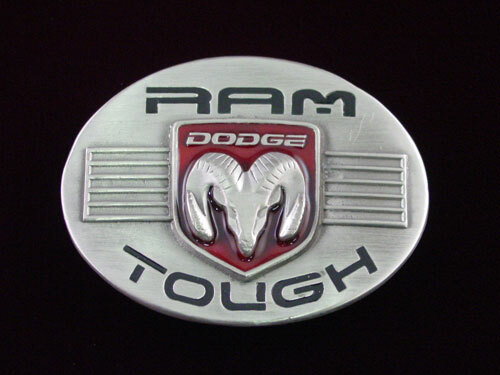 This entry was posted in Christian Living, Prayer and tagged Anger, Driving, Ram Tough, Road Rage, Stress. Bookmark the permalink. Great job keeping your cool:) By the time you got there was she late?